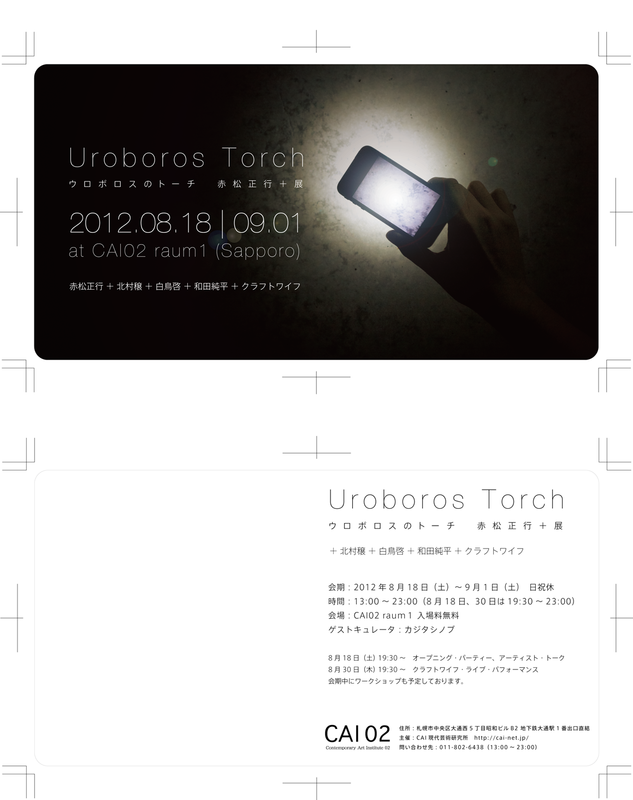 Uroboros Torch is an AR (Augmented Reality or Alternated Reality) artwork that consists of eight serial paintings. 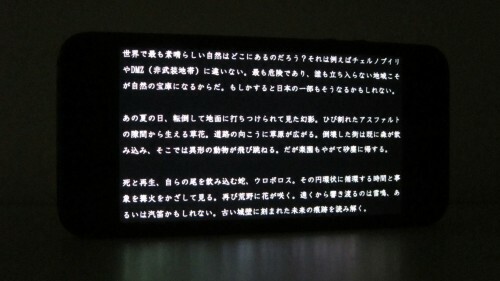 Viewers can look at them through a mobile device, such as an iPhone, and experience the accompanying audio-visual effects. This work shows a stream of artificiality and naturality with images and sounds. It also shows a circulating eternity within everlasting time. 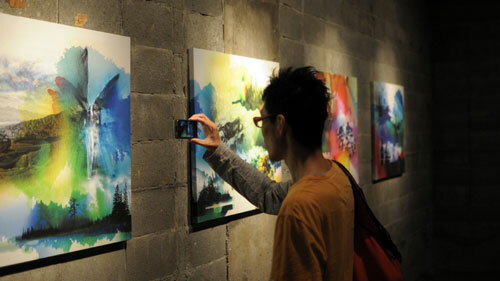 Viewers will be handed a mobile device, such as an iPhone, and look at the paintings through it. 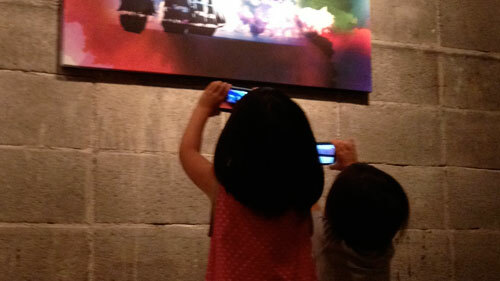 They can see the present scene on the screen like a magnifier because the device has a rear-side camera and can capture the scene before their eyes. 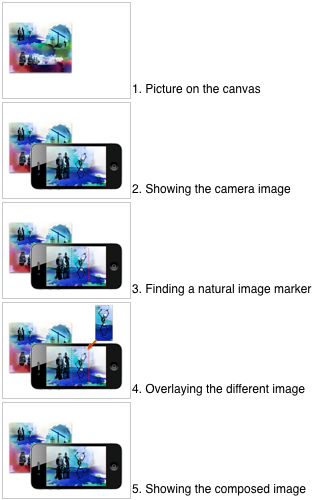 When the viewer looks at the paintings through the device, a part of an image or a whole image will change as painted images start moving and images not in the paintings appear. For example, water starts flowing on a waterfall that has run dry and a skeleton starts dancing. Or it will begin to snow and a ship sets sail and comes closer. 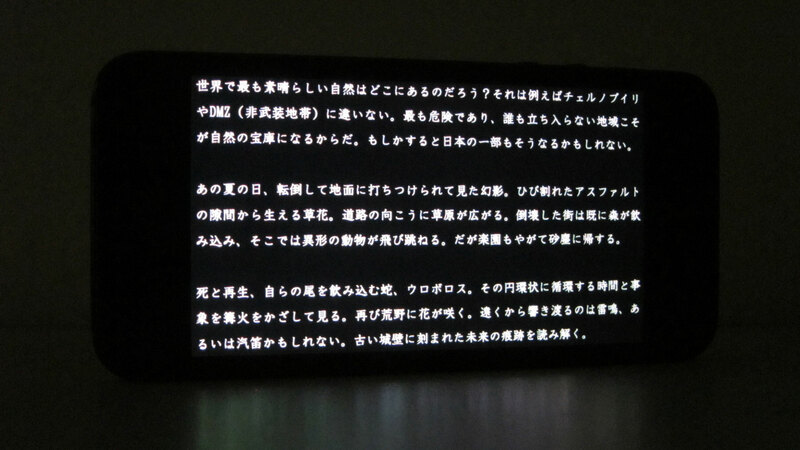 At the same time, a sound effect will be produced according to what the viewer sees and the sound will be expanded in the venue via complex sound processing. 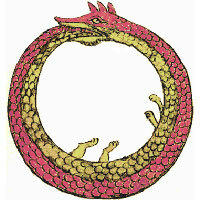 The Uroborus is “an ancient symbol depicting a serpent or dragon eating its own tail”, and a torch is “a fire source, usually a rod-shaped piece of wood with a rag soaked in pitch” (from Wikipedia). 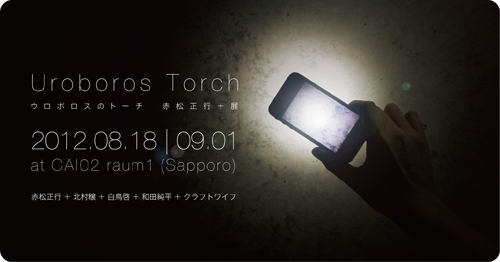 In this artwork, the Uroboros suggests a stream of circulating phenomena and events in a long amount of time, and the torch indicates the action of discovering something by holding something up. In the series of eight paintings, images of events from prehistoric, ancient, medieval, modern and future periods are drawn. They are the history of civilization via the various occupations of man (such as hunting, agriculture, city, religion, war, industry and information). 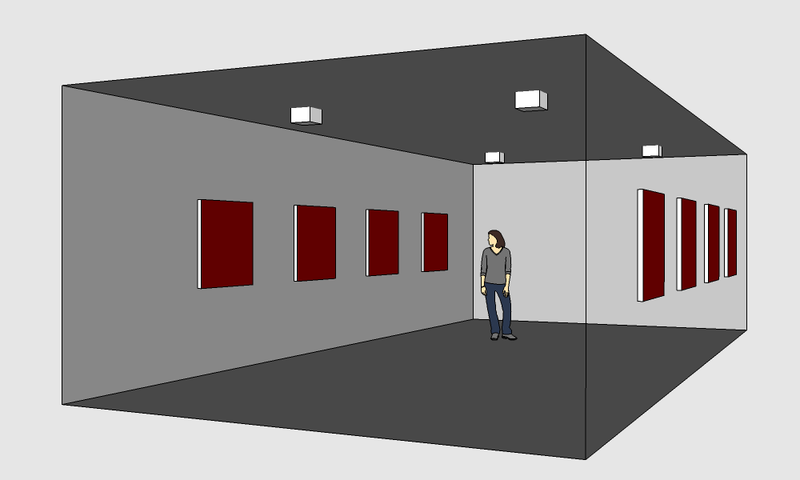 The last painting indicates the return to the first painting but this does not necessarily mean the end of civilization. 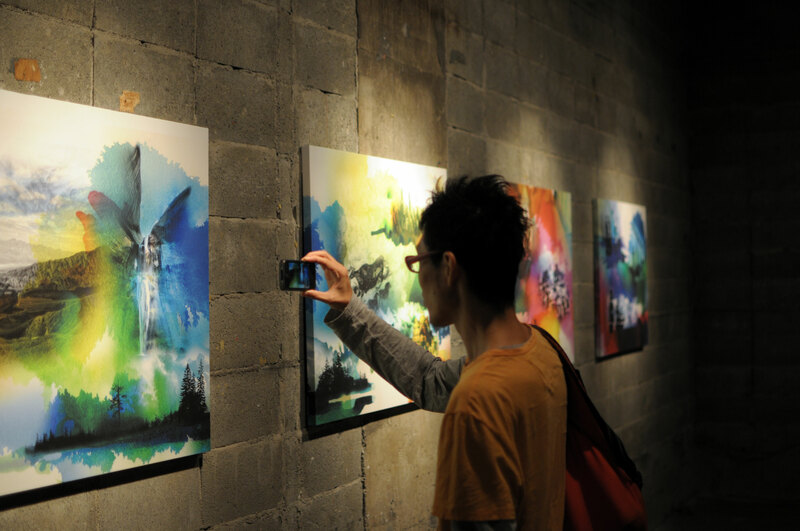 While every event stands individually and was drawn in monochrome, a colorful background pattern is also drawn continuously in each painting. This pattern implies a naturality around an artificiality, and an everlasting continuity that transcends numerous phenomena and events. When we think about such an eternal stream, which is, so to speak, an Uroboros-like circulation, it reminds us of a slight time in our lives and the transient existence of our activities. 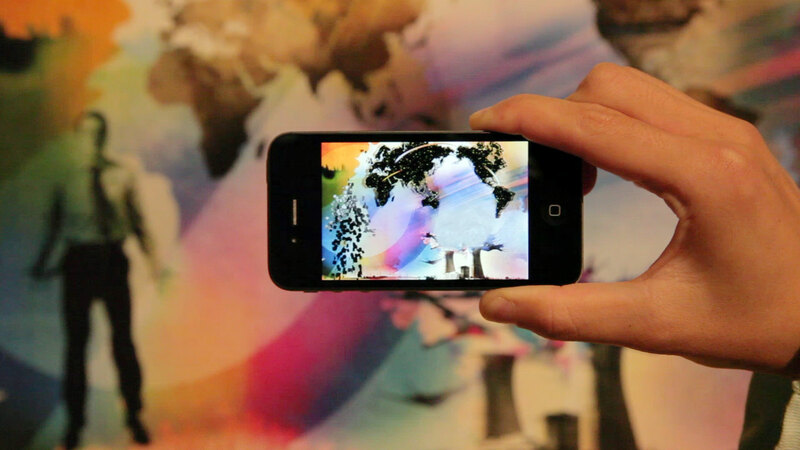 Not only seeing the paintings as they are, but by also seeing them through a mobile device, audio-visual effects can be attained. 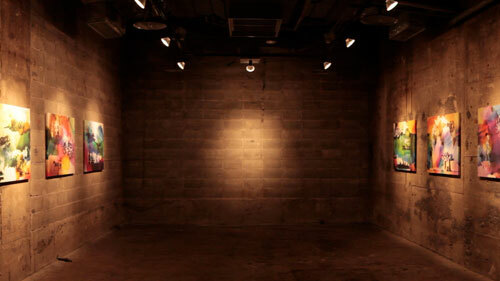 At that time, phenomena on the paintings start moving, hidden events appear and the corresponding sounds ring. 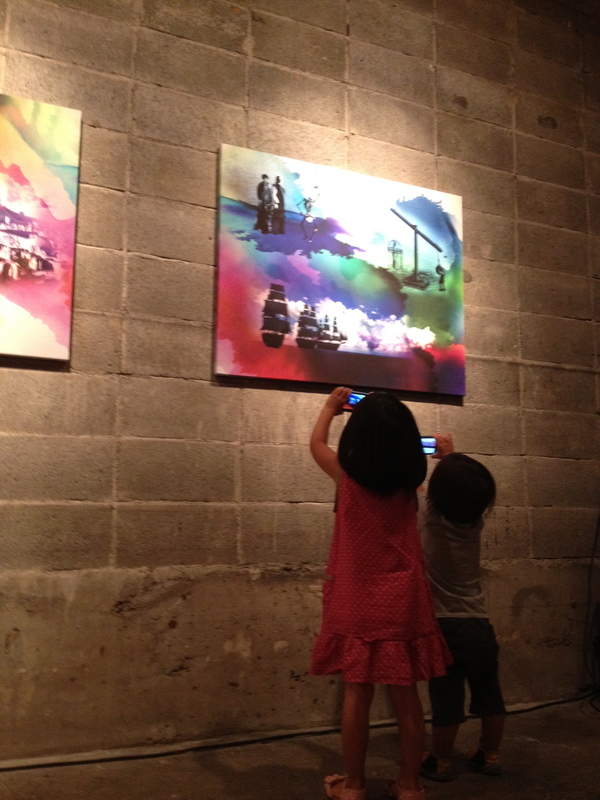 In this way, a deep and plentiful story sealed within the paintings is revealed. 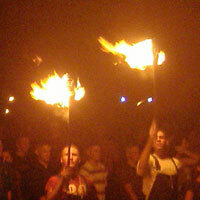 This is like holding up a torch in the darkness – one looks for something unseen and investigates what one has found. 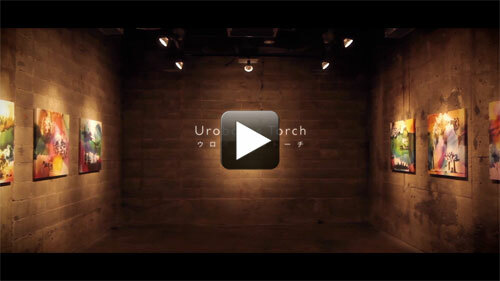 Like the origin of animation, this is an act that gives life and movement to inorganic matter. In fact, this is such an intuitive mechanism that even an infant will be caught up in looking at it. Meanwhile, seeing something and working on something is the nature of human activity and that is the source of that which is drawn in the paintings. In other words, not only the artwork itself but also the viewing of this work is taken into the eternal circulation that is the Uroboros.